The picture shows where the left hand side of the roof has been swept and dressed. This is where the Thatcher uses his skill to create a smooth surface all over the roof, getting rid of imperfections and creating uniformity. The curves are consistent and even this reduces the effect of weathering. 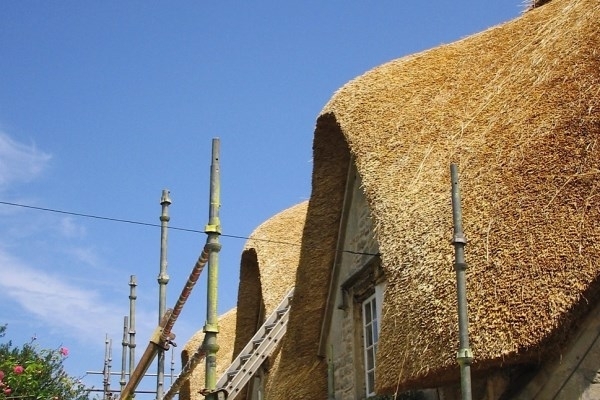 The dressing of the roof is carried out using a Leggett and the roof is swept using a stiff broom. It should be noted that the height of the chimney has been raised to compensate for the increase in the roof’s height.